I've had the 80lb Saltiga braid on a deep drop setup and it is by far my favorite braid. I also have the 100lb on high speed wahoo reels - too bad they don't offer the hi-vis yellow anymore. I needed to spool several jigging reels with metered line and decided to try boat braid. I cant say enough good things about this line. its thin, strong, and smooth. the colors don't fade bad either. I have been using bb for over a year now and still love it as good as the first time I tried it. haven't had a breakoff yet fishing up to over 30lbs drag at times. Prosthin, strong, smooth. not much color fade. great for the surf too. the color change every 33 feet and indicators at 16 and 3 feet is great for surf casting. I loaded up my raptor mxl with the 80lb and im nothing but happy with my choice. I am using this for jigging and bottom fishing. So far has not failed me. Good product. Very durable and strong. Cuts through the water and gets deeper than mono. ProsYou know how far you are behind the boat. 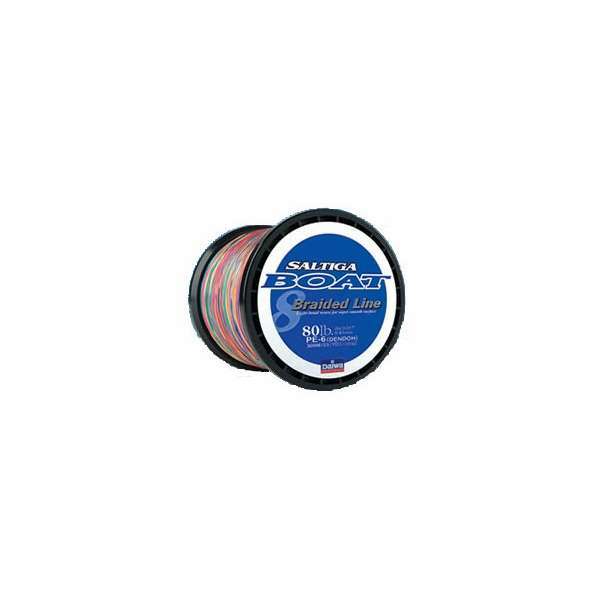 How heavy is the 1800m 100lb spool? 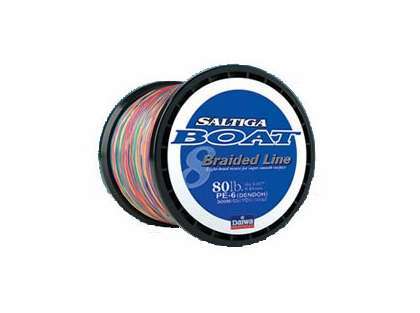 The weight of the Daiwa SAB-B100LB 1800m 100lb 5 color Saltiga Braid Line is 1 lb 13.6 oz. How much is the cost for shipping this item in New Zealand?